Adding a skylight to your roof is a good way to accentuate and improve the look of the structure. Skylights are more than just for show, though. They are functional add-ons that can increase your home’s energy efficiency and even improve certain rooms. In this post, Tedrick’s Roofing lists the four best places to add a skylight in your home. The main bedroom is the obvious choice as it’s where you’ll be enjoying a view of the sky or the stars most of the time. After all, who wants to look at a bare patch of ceiling when lying in bed? Skylights do more than just provide you with a view of the sky, though; they’re also a great way to add sunlight in your room without sacrificing privacy. On the topic of privacy, no other room can benefit from a skylight more than the bathroom. It’s an effective way to add some much-needed daylight and ventilation in this space without sacrificing privacy. Adding a skylight in the bathroom can also prevent a leaking roof in that part of the structure. Since the bath space is the part of the house where the most water is used, it also contains the most extreme amount of moisture. Too much moisture can be bad for you and the ceiling – with the moisture eventually rising to the wooden portions of the roof. By adding a skylight, you allow water and condensation to escape properly as it rises upwards. Skylights add balanced lighting to your kitchen and prevent cooking smells from accumulating too long. Additionally, installing a skylight frees up wall space that a regular window would use. This allows you to make use of that wall for more important things, such as extra storage for your kitchen utensils. A converted attic is another good place to add a skylight. In fact, converted attics actually need a skylight as its the only kind of window this room typically has. It provides your newly transformed loft or additional room with some much needed ventilation and lighting. 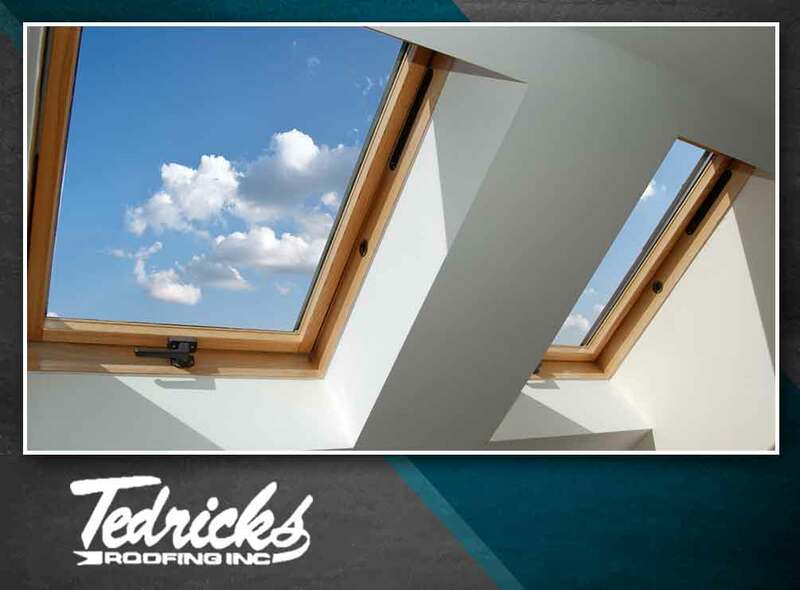 Tedrick’s Roofing offers expert roofing, skylight and gutter installation services. You may reach us at (877) 212-9355 and (253) 499-9660 to learn more about our services. We offer complete roofing and skylight services throughout Seattle, WA.